MUMBAI, INDIA: The ambitious Aadhaar card initiative which has been treading in rough waters, got yet another jolt early this week from none other than the Apex court-the Supreme Court of India. Besides, the judges also asked the government why many authorities still insist on Aadhaar for providing subsidies and basic services to ordinary citizens. “The authorities insist on Aadhaar. While we do not want to go into the specifics, we expect the Union Government of India and all the state governments to adhere to the (SC) order dated September 23, 2013. We will take the officers concerned to task if any order comes on record making it (Aadhaar) mandatory,” Justice Chelameswar observed. In the 2013 order, the apex court had noted that no person should suffer for not getting the Aadhaar card, inspite of the fact that some authority had issued a circular making it mandatory. “You better advise the states, if the officials insist, it would have consequences. We will take them to task. This is absolutely not right,” the judge opined. “It is a matter of great public importance. The issue has serious implication in terms of Constitution. Notwithstanding the court’s order, there is insistence for Aadhaar. There is complete apathy on the part of officials,” senior advocate Gopal Subramanium, who represented Bangalore-resident, Mathew Thomas, submitted. 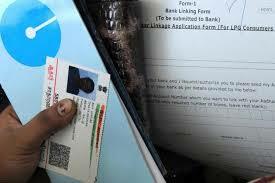 “On the surface it (Aadhaar) is a simple document of identity, but it requires iris scans and biometric details. God forbid if identities are exchanged or mistaken. The Executive’s scheme involves private partners. Who are these private partners?” he asked. Contextually, senior advocate Anil Divan pointed out that the Bombay High Court Registrar had recently received an official communication asking him to make Aadhaar mandatory for disbursal of salary to the staff and even judges.